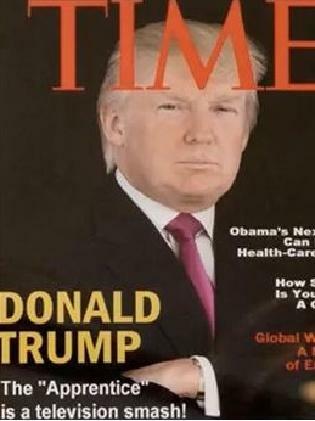 The magazine has put the US President on the cover again for its latest issue, the second time in a row it has done so, and chances are he isn't going to like it. The magazine said in a statement that the depiction "is meant to represent this particular moment in US foreign policy, following the pair's recent meeting in Helsinki, Finland". "A year and a half into his presidency, Trump's puzzling affinity for Putin has yet to be explained," Brian Bennett writes in the Time cover story. "Trump is bruised by the idea that Russian election meddling taints his victory, those close to him say, and can't concede the fact that Russia did try to interfere in the election, regardless of whether it impacted the outcome." Mr Trump has since done an about-face and said he meant to say he saw no reason why it "wouldn't" be Russia, when he said that he saw no reason why it "would" be Russia. 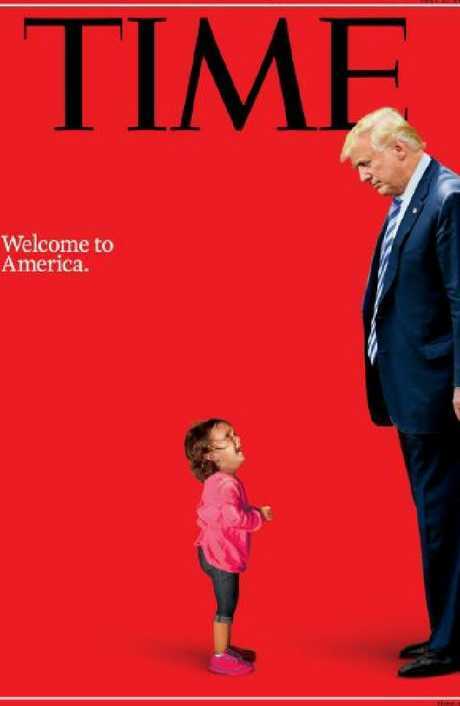 For its last issue, Time controversially used an image of Mr Trump smugly towering over a crying child with the words "Welcome to America" to depict his administration's policy of separating families crossing the US border. Mr Trump's critics praised the cover as a perfect encapsulation of the harsh policy, which was putting the children of illegal immigrants in makeshift detention centres. They called it "iconic". "It's a telling image. It shows the compassion gap that exists between the Trump administration's 'zero-tolerance' border policy and the real-life people that are affected," wrote CNN's editor-at-large Chris Cillizza, for instance. But the facts didn't quite add up. The girl in question was not taken from her mother. Nor was she an asylum seeker fleeing violence. According to the girl's father, her mother had actually crossed the border in search of a job, and they were allowed to stay together. "It's shameful that Democrats and the media exploited this photo of a little girl to push their agenda. She was not separated from her mum. The separation here is from the facts," fumed White House press secretary Sarah Huckabee Sanders. Meanwhile, Mr Trump has belatedly shot down Mr Putin's offer to allow the US to question 12 Russians accused of interfering in the 2016 election in exchange for permitting Russia to interview Americans the Kremlin accuses of unspecified crimes. Ms Sanders said the proposal was "made in sincerity" by Mr Putin, but Mr Trump "disagrees with it". She said the US hopes Mr Putin will have the Russians indicted on charges brought by the Department of Justice "come to the United States to prove their innocence or guilt". The White House rejected Mr Putin's offer as the Republican-controlled Senate prepared to issue a rebuke to Mr Trump by going on record against the offer. 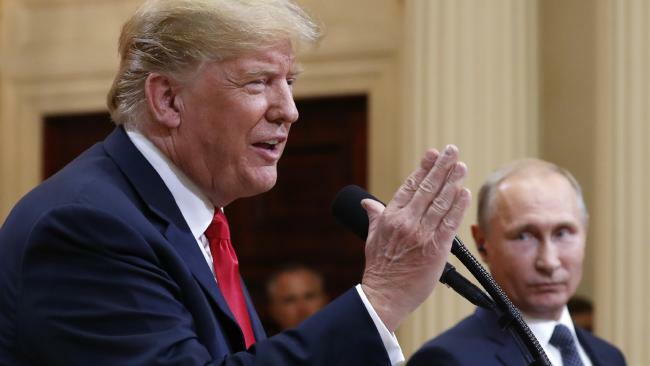 Mr Putin made what Mr Trump called an "incredible offer" during a joint press conference concluding their summit in Helsinki, for which Mr Trump received bipartisan condemnation at home. The White House had said it was under consideration, even though the State Department called Russia's allegations against the Americans "absurd". In an interview with The Christian Broadcasting Network on Thursday, Secretary of State Mike Pompeo was explicit, saying "that's not going to happen". "The administration is not going to send, force Americans to travel to Russia to be interrogated by Vladimir Putin and his team," Mr Pompeo said. Congressional Republicans have criticized the White House for even considering the offer, while McFaul has called it a "ridiculous request from Mr Putin".